Scientific honesty, cutting-edge technology, quality of the assistance, focus on the person and the world we live in. BiotechSol is part of SOL Group, a company dedicated to the world of biotechnology, the preservation of stem cells and tissues, the shipping and transport of biological materials, and the analysis services for gynecology and medically assisted procreation. The SOL Group is active in the production, applied research and sales of technical and medical, gases, home-care services, biotechnologies, and energy production from renewable sources. SOL SpA is listed on the Milan Stock Exchange. We were born in 2009 as SOL Group biotechnology company, an ever-expanding Italian reality that boasts a history of over 80 years of activity. Our mission is to ensure maximum security and the highest quality standards that have supported every step of our company, driven by a strong sense of responsibility and a clear ethic of work and development. Our company guarantees economic and technical solidity. We have demonstrated this in recent years and will continue to do the same for the future. We firmly believe in the importance of implementing innovative services and introducing technological improvements. For this reason, BiotechSol collaborates with Research Centers and Research Institutes that can bring added value in terms of quality and innovation applied to our services for a continuous improvement of our products. BiotechSol staff continuously attends national and international events and congresses to stay up-to-date with the progress in the biotechnology applied to human medicine. Over the years we have shown the ability to perform our business with competence and efficiency. We have created strong relationships with the Italian territory and with our customers. Our team of professionals works constantly to ensure punctuality and availability. They care about customer’s questions and needs, and always aim at the satisfaction of the customers. 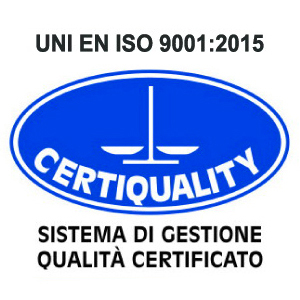 BiotechSol uses an ISO 9001 quality management system to manage its operations. Each procedure (is carried out by our employees in the perspective of refinement and development. Our research in new areas of biotechnology is guided by a clear, shared ethical code. We want the values that guide our work to be in the foreground. We believe in fairness and openness, in the circulation of information, in the power of listening and sensitivity. A look at the future that is backed by bold and rooted principles in our present. We take care of the environment, the single person, the families, the medical staff, the technicians and their employees, the territory, and the associations.